Pashley Creative - Bold identities, effective communications. Pashley Creative is a premiere branding and marketing firm serving clients nationwide from Phoenix, Arizona. We craft effective communications, build and fine-tune recognized brands, and reinforce those brands with bold marketing campaigns. Through comprehensive planning and flawless execution, Pashley Creative works to create, enhance and revitalize dynamic companies that set the standard for their industries. As a natural extension of our marketing services, Pashley Creative offers production and distribution of live and on-demand streaming video, including keynote speakers, corporate events, and high-profile sports action. 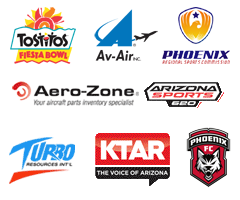 Pashley Creative is The Official Webcast Partner of the Tostitos Fiesta Bowl, and Buffalo Wild Wings Bowl. Since 2010, we have produced live webcasts of press conferences leading up to each game, post-game press conferences, team arrivals, and live Media Day specials for both games. Each broadcast is made available live and on-demand via our FLOODstream video platform, integrated into fiestabowl.org. The Consumer Financial Protection Bureau recently selected Pashley Creative for production of its Phoenix Field Hearing webcast “Protecting homeowners: New tools for empowering consumers and advocates”. We conducted site visits, designed and installed lighting, and produced a 1080i HD multi-camera broadcast of this high-profile event.